Cities across the United States and the European Union, many of them for the first time, will host the "Immortal Regiment" march honoring victory over Nazi Germany in World War II. 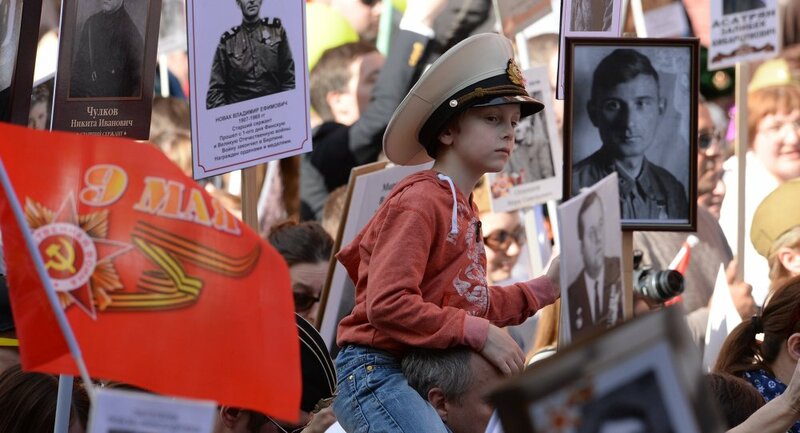 MOSCOW (Sputnik) – The Immortal Regiment is a patriotic initiative that commemorates WWII soldiers in marches held across Russia and other countries on May 9, celebrated as Victory Day in Russia and the former Soviet republics. During the marches, people carry photographs of their ancestors who participated in the war. 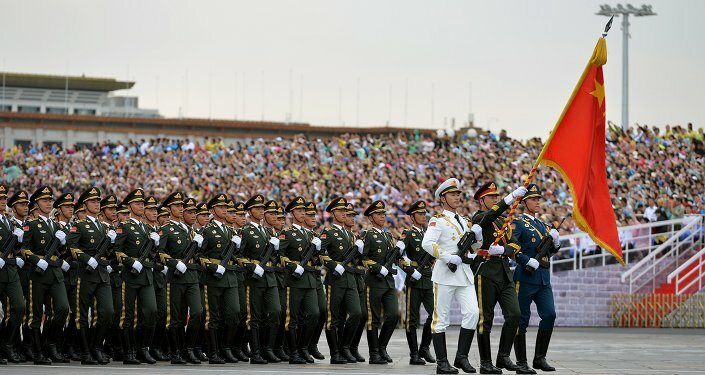 This year, commemorative marches are planned in the US, Canada, Germany, France, the United Kingdom, Spain, Switzerland, Estonia, Latvia, the Czech Republic, Lithuania, and many other countries. 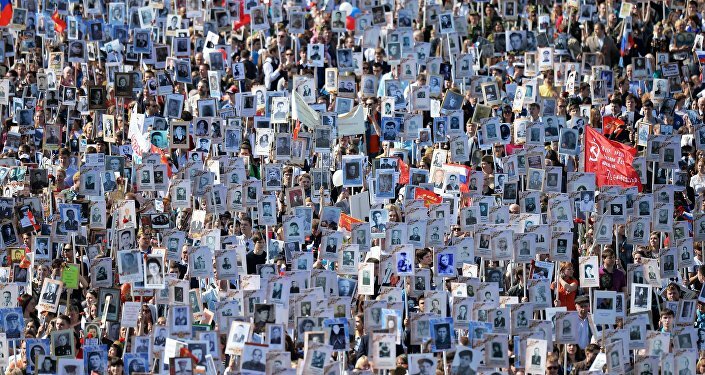 Organizers tell RIA Novosti "any person regardless of nationality, religion, political or other views" can join the ranks of the Immortal Regiment. On May 7-8, the marches will be held in Boston, Chicago, Denver, Houston, New York, Orlando, San Francisco, Seattle and Washington. Their organizers invite "all those who cherish the memory of victorious frontline soldiers to form the Immortal Regiment." The first US march was held in the city of New York on May 3, 2015, attracting new participants and expanding its presence ever since. 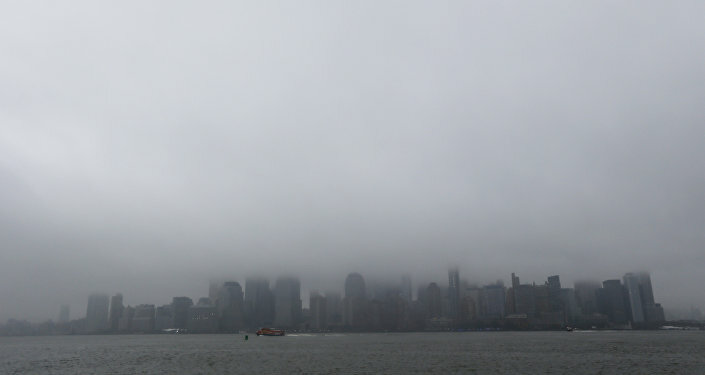 Igor Kochan, who coordinates the event in the United States, says he expects hundreds of participants to walk through the waterfront on the Hudson toward Battery Park at the memorial to fallen WWII soldiers. Washington, DC, organizer Ekaterina Hill tells RIA Novosti "Russian schools across Washington and its suburbs responded immediately to the call for participation, these events are very important for them." The march in Berlin is scheduled to take place on May 9 from the Brandenburg Gate to the Soviet War Memorial near Tiergarten, the resting place of over 2,000 Soviet soldiers, project coordinator Yana Zaugarova says. She expects several hundreds to attend the event and tell the stories of their heroes despite the fact that the Immortal March falls on a workday in Germany. 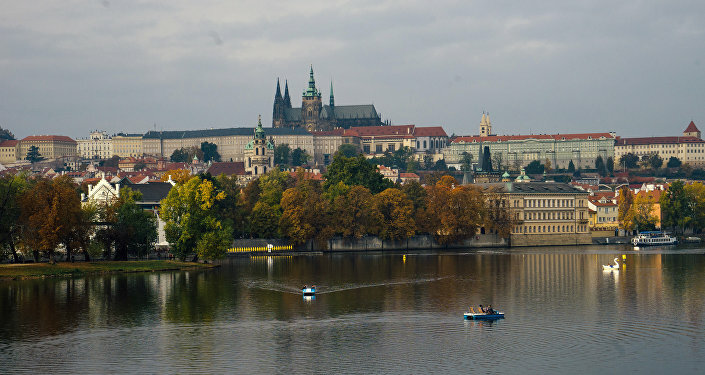 Paris and Strasbourg residents will witness the procession a day earlier. In the French capital, its coordinator Tatyana Campeau told that RIA Novosti French and Italian resistance soldiers’ descendants are expected to join the children and grandchildren of Soviet veterans. The Immortal Regiment plans to march from the Place de la Bastille to the Pere Lachaise Cemetery, where they will lay wreaths at the monument of Soviet partisans and members of the French resistance. In London, the Immortal Regiment will march on May 9 from Trafalgar Square to the Palace of Westminster. Campeau, the event’s coordinator, says the purpose of the march is "to get together to honor the memory of their own families, to carry their loved ones’ portraits high overhead – be they army or navy veterans, logistics workers, partisans, Nazi camp prisoners, blockade fighters, resistance fighters, children of the war who will never be able to go on the parade themselves." "We will demonstrate that we value, respect and acknowledge the price that our families and our veterans paid for peace," Campeau said. Up to 500 people signed up to take part in the march, she estimated. Cities across Spain, Austria, Latvia, Estonia, Malta and Switzerland are slated to host the march this year as well. Some 12 million people have participated in the 2015 Immortal Regiment march throughout Russia, with Russian President Vladimir Putin joining a column of people in Moscow carrying portraits of their relatives who fought in the Great Patriotic War of 1941-1945.